CD Projekt RED's Cyberpunk 2077 title will be "a true RPG game," says studio co-founder Marcin Iwinski. 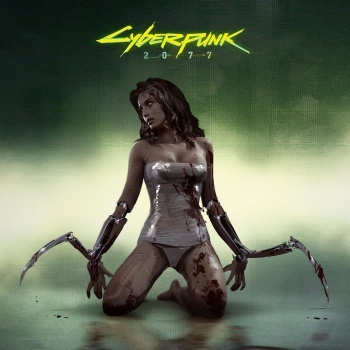 In fact, Iwinski hints, an open world style game is more Cyberpunk 2077's style, but there are a lot of things about the game that he can't talk about yet. "We are known for storytelling, and big game worlds," says Iwinski, "and so we're taking all what we've learnt from previous three Witcher games, as well as the open-world aspect, and applying it to Cyberpunk 2077." CD Projekt has already said it's doing all it can to add authenticity, and an open world with that kind of detail is something to dream dystopian nightmares about. Previously the studio said that the game will incorporate multiplayer features, but didn't elaborate. Maybe this is Iwinski's way of taking PvP off the table; but we'll find out at launch, and no, before you ask, we still haven't a date.